West Helena, Brinkley, Forrest City, Wynne, Marianna, Clarendon and Marvell, AR areas. Chuck has practiced law since being licensed in 1992 and provides representation in all areas of the law concentrating the majority of his time in personal injury, criminal and domestic relations work. He aims to give you an objective perspective on whatever legal situation you're facing. As your lawyer, he will do his best to protect your interests. Whether you want advice about a divorce or you'd like to clean up your criminal record, You have the option of coming to the Halbert Law Office in Eastern Arkansas. I'm here to listen to your problems and provide you with legal counsel. Chuck, has practiced law since being licensed in 1992. 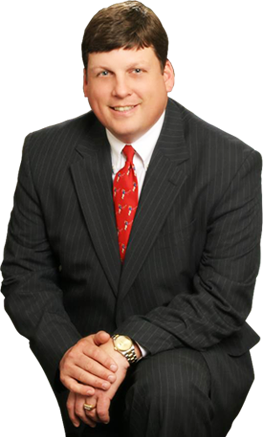 He has based his practice in Phillips County since the beginning but helps clients across the state. His current office was opened in its present location of 2430 Highway 49, West Helena, Arkansas in 2005. 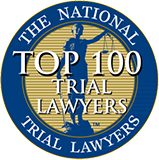 Voted by National Trial Lawyers as one of the Top 100 Trial lawyers in 2014 and providing successful and aggressive representation to my clients for over Twenty years, the Halbert Law Office is ready to help you.